A tell-tale growth. Turn the leaf over. The gall of it all! I am fascinated by these things. 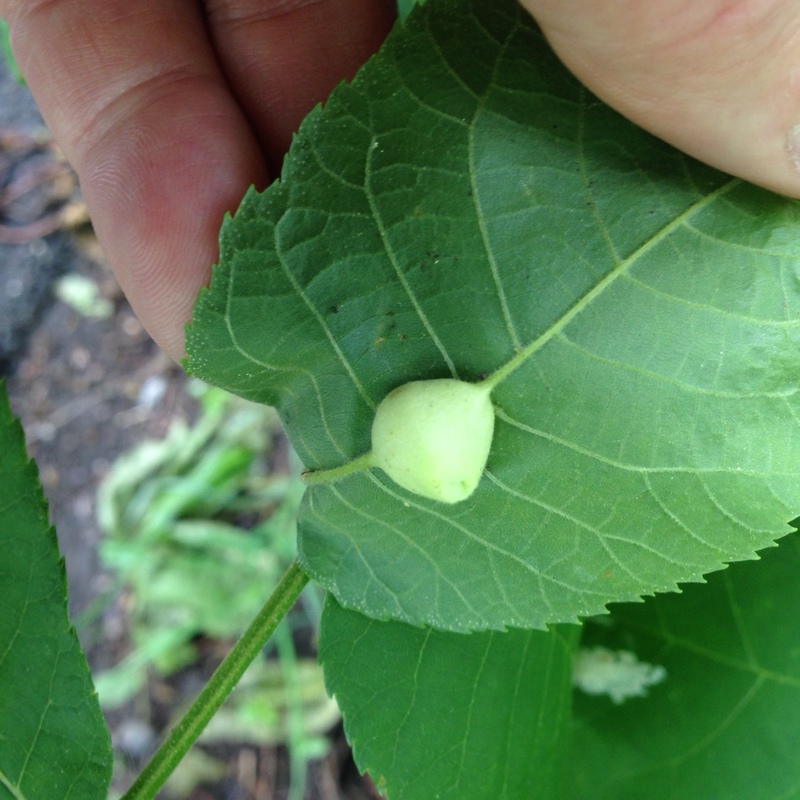 Galls are created by the plant in response to the agitation of a wasp, mite, or something even smaller. 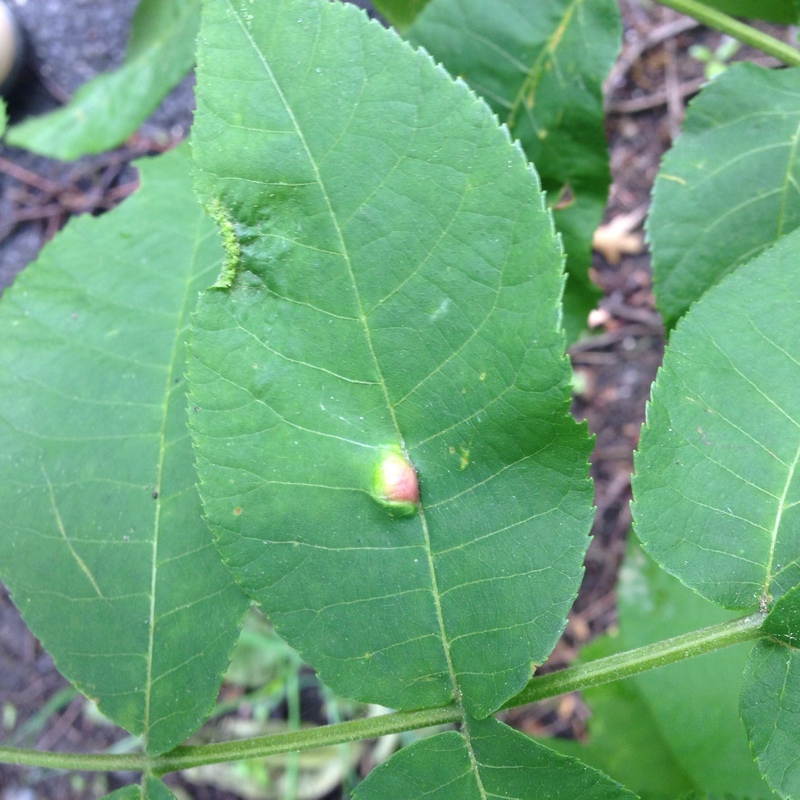 For instance, insects lay their eggs on or in the plant, the plant is stimulated to build up over the eggs. It is a process of containment and isolation. For the gall-forcer, it’s protection and food. 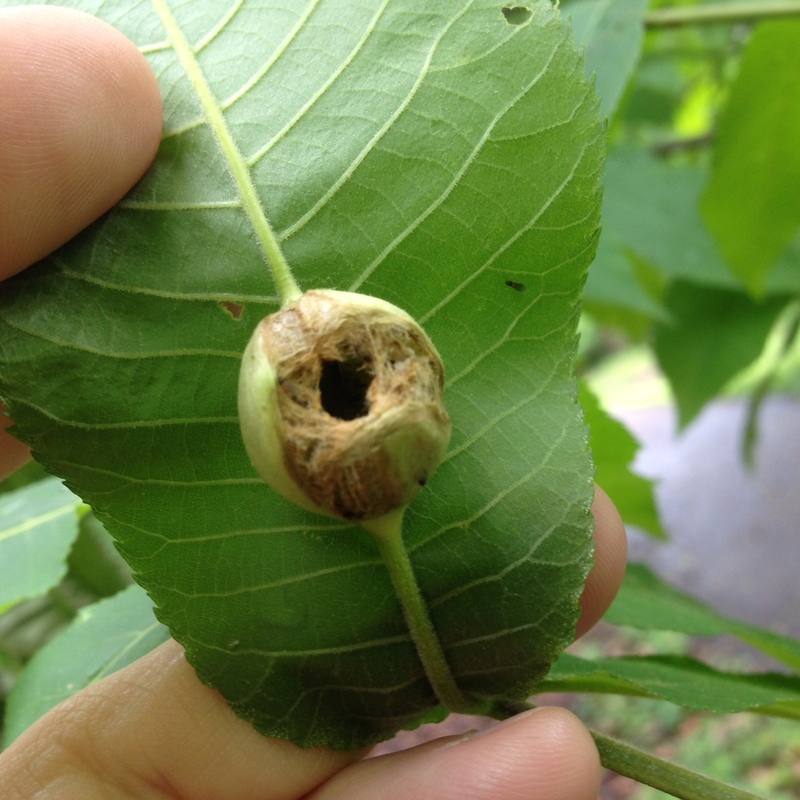 The eggs will hatch out to larvae in the gall. The critters will find themselves inside a plant! And that, of course, can be eaten. Eventually the critters will emerge, boring out, unless something gets them first. This one looks like it may have been opened up by a predator. A bird? Another kind of gall: as a crime family, the Trumps have long connections with mafias of various sorts. Bloomberg on the Russian criminal front.